Available from Sense Publishers and Amazon. 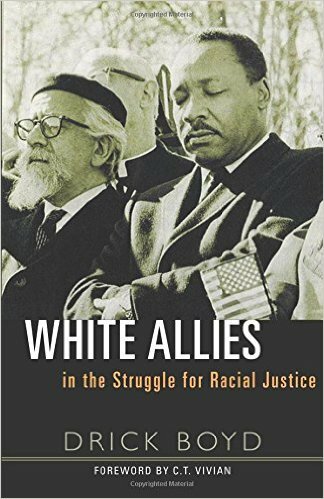 Seventeen stories of white folks through U.S. history who worked for racial justice in their time, despite experiencing alienation, persecution and in some cases death. The book seeks to present flawed white folks who grew into an awareness of racial justice, and acted in ways that furthered racial equity and justice in their time. Discussion questions at the end of each chapter are designed for personal reflection or group discussion. Co-edited with Heewon Chang. Using the perspective of authoethnography, 12 scholar-teachers discuss how they incorporate their faith perspective and spirituality into their practice, scholarship, and teaching. 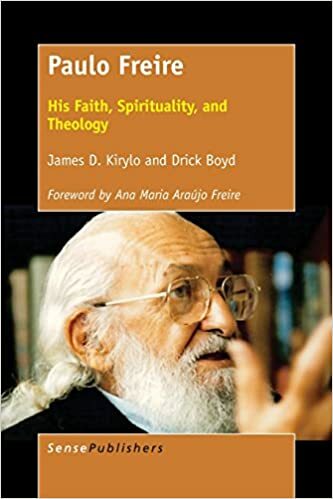 Included in this book is my chapter “Weaving Together Activism, Scholarship and Faith” in which I describe my perspective as a scholar-activist. “What Would Paulo Freire Think of Blackboard: Critical Pedagogy in an Age of Online Learning,” International Journal of Critical Pedagogy, Vol. 7, Issue 1, 2016, pp.165-186. “Paulo Freire’s Spirituality of Hope” presented at the 2007 Conference of the Pedagogy and Theater of the Oppressed, May 30-June 3, 2007, Minneapolis, Minnesota, AND 2008 Conference of the American Association of Adult and Continuing Education, November 11-15, 2008, Denver, CO.
“A University Serving the Oppressed: The Opportunity Afforded by Demographic Changes in Higher Education,” International Journal of Multicultural Education, Winter 2009. “Under the Radar: Popular Education in North America,” Annual Meeting of the American Association of Adult and Continuing Education, Indianapolis, November 1-4, 2011. “Grassroots Leadership Development: Merging Popular Education with Community Development, ” presentation at the Pedagogy and Theater of the Oppressed Conference, Miami of Ohio University, Oxford, OH, June 28, 2013. “Autoethnography as a Tool for Transformative Learning About White Privilege,” Journal of Transformative Education 6 (3), July 2008, 212-225. “Anti-Racist White Allies: The Need for Role Models” in A Just World: Multidisciplinary Perspectives on Social Justice, Heon Kin (Ed), 2013, Cambridge Scholars Publishing. Interrogating Whiteness” presented at the Eastern University Academic Festival, May 19, 2008, St. Davids, PA.
How Stories Can Transform Whites Working for Racial Justice”, presentation at the Transformative Learning Conference, San Francisco, CA, November 3, 2012. “Analysis to Action: Putting Race at the Center,” presentation at Rutgers University, May 19, 2017 (with David Mosenkis and Graie Hagans). “The War Abroad and the War at Home: Examining the Link between U.S. Militarism and Violence on U.S. City Streets,” PRISM, Sept/Oct 2009, 16-18, 20-22, 39. “Crossfire: With Prayer and Protest People of Faith Take Aim at the Gun Industry,” PRISM, October 2011, 10-17. “David and Goliath: Faith-based Approaches to Gun Violence Prevention.” Mennonite Central Committee Fear Not Campaign, 2011-2013. Unpublished paper. Book Review of American and Its Guns by James Atwood, PRISM, November – December 2012, p. 46. “Faith Integration with Adult Students,” Integrite: A Faith and Learning Journal 5 (1). (Humanities Division of Missouri Baptist University), Spring 2006. “Effective Teaching in Accelerated Learning Programs,” Adult Learning, May 2007, 40-43. “Professor in a Strange Land: Reflections on Teaching in a College Program for Marginalized Students” presented at the 2007 Annual Conference for “Power, Access, and Equity” of the Philadelphia Higher Education Network for Neighborhood Development (PHENND), February 23, 2007, Gwynnedd-Mercy College. Reading Circles: A Tool for Critical Thinking, Student Engagement & Learner Empowerment. Presented at the Lilly Conference on Teaching and Learning, April 17, 2009. 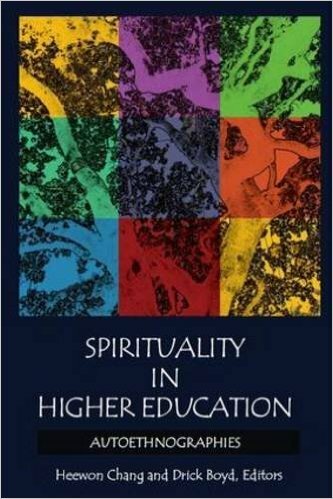 “Weaving Activism, Scholarship and Faith” in Spirituality in Higher Education: Autoethnographies” (Eds. Heewon Chang and Drick Boyd), Walnut Creek, CA: Left Coast Press, 2011.